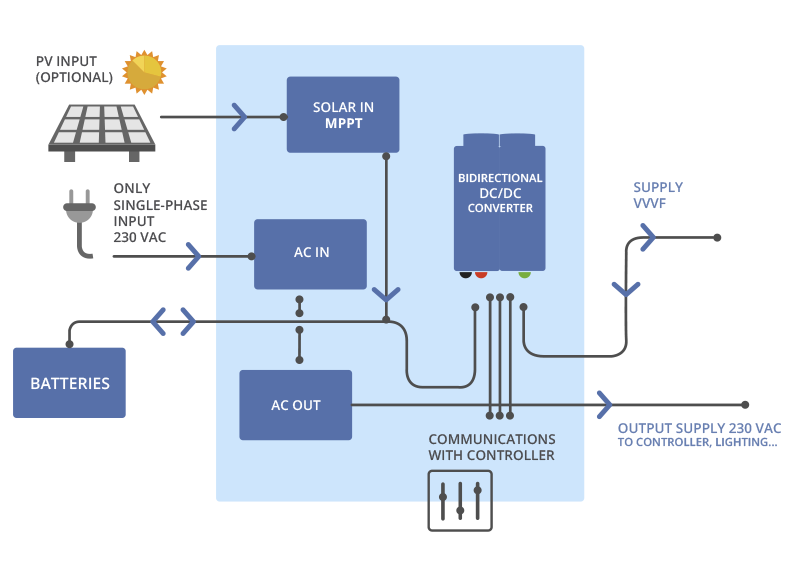 System that mitigates peak power consumption to 500W, enables the elevator for long-term operation after blackout, reuses braking energy and, adding optional solar panels transforms the elevator to a ZERO NET ENERGY one. 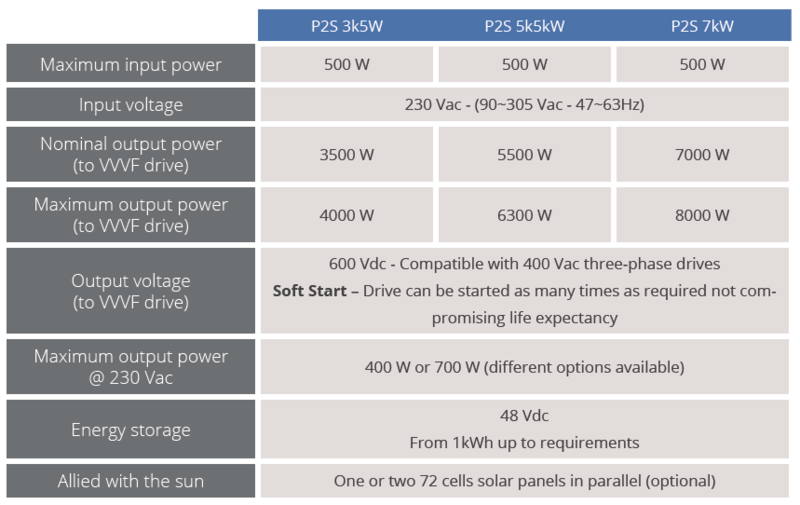 P2S is an intelligent power supply for any elevator, new or existing. It enables single-phase supply of the lift. The included accumulators allow for hundreds of trips after a mains failure or lack of supply. 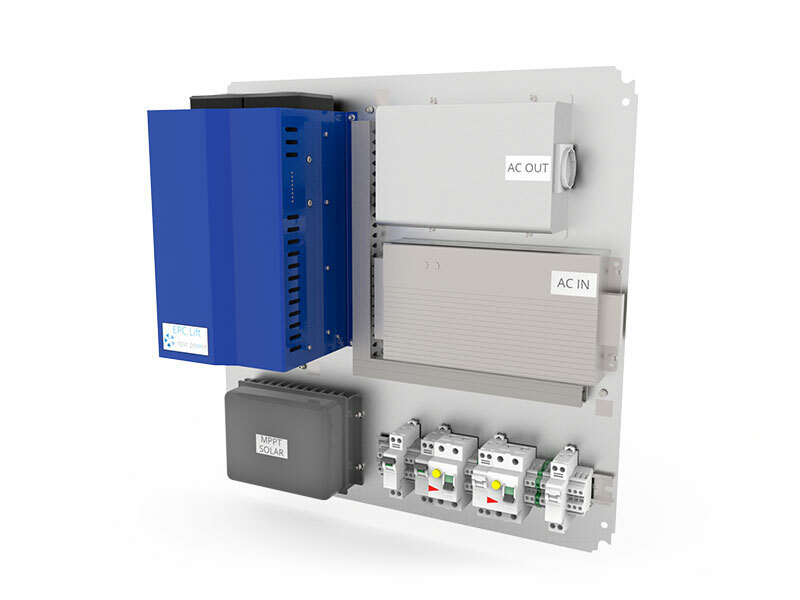 This system simplifies the electrical installation as no three-phase mains is needed, just single-phase. The peak power consumption by the lift is now 500W or less in all situations. The option of adding two solar panels guarantees that the elevator consumes ZERO energy during day time. Reduces peak power consumption to 500W, therefore no three-phase mains is required and single-phase supply is sufficient. Elevator continues in operation for a prolongued time after a blackout occurs. When motor generates energy, it is stored in the accumulators. Contributes to reduce stand-by consumption up to 30%. Drive stand-by can be completely avoided. No auxiliary backup supply (UPS) is needed. Inclusion of solar energy is an option. Suitable for new lifts or existing ones under modernization. 600 Vdc to feed the VVVF drive (a 400 Vac one) but directly to the DC link. Connection to mains is no longer needed. Bidirectional DC/DC converter feeds drive from 48 Vdc accumulators. Extensive communication signals to and from the control such as for example, battery state-of-charge or energy consumption. Energy accumulators granting the elevator to operate for more than 100 trips lacking mains. Simplicity of integration with any of your elevator models. Both in new and already in operation lifts.